Elizabeth “Betty Jean” Reardon Huddleston, age 76, resident of Oakland, Tennessee and wife of Jimmy Lee Huddleston, departed this life Monday evening, January 21, 2019 at Baptist Memorial Hospital in Memphis. 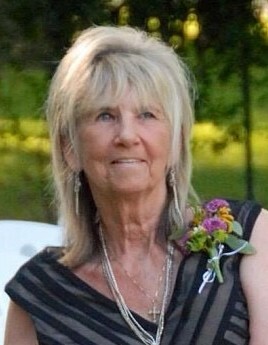 A Funeral Service for Mrs. Huddleston was held at 11 A.M. Thursday, January 24, 2019 at Collierville First Assembly located at 730 S. Byhalia Road. The officiating ministers were Pastor Jason Murphy and Rev. David Cross. Interment followed at the Magnolia Cemetery in Collierville. Arrangements were provided by Peebles Fayette County Funeral Homes & Cremation Center – Main Chapel in Somerville. Betty Jean was born December 3, 1942 in Rochester, New York, the daughter of William B. Reardon and Elizabeth Ann Stevens. She moved with her family at an early age to the Memphis area and was a graduate of Messick High School. She was employed in the family business, Lindsey Transport, for many years and attended Collierville First Assembly for over 20 years. Betty Jean was a cowgirl and will be remembered for being a Christian lady who enjoyed riding horses, dancing, Jazzercise and going to the beach. Mrs. Huddleston is survived by her husband, Jimmy Lee Huddleston of Oakland, TN; four daughters, Darla S. Hindmon of Byhalia, MS, Torrie Greene (Sean) of Collierville, TN, Lynn Whitehorn (Scottie) of Oakland, TN, Lisa Lufcy (Allen) of Eads, TN; her son, Wesley Smithey (Vickie) of Byhalia, MS; her brother, Walter Gary Stevens of Hernando, MS; ten grandchildren, nine great-grandchildren, four dogs, Ellie, Bo, Hailey, Lilly; and two horses, Dia and Java. She was preceded in death by her parents, William B. Reardon and Elizabeth Ann Stevens; her sister, Gail McCown; and her grandson, Jacob Seavers. Those honored to serve as pallbearers were Michael Martin, Clayton Smithey, Hunter Harris, Noah Seavers, Micah Seavers and Dylan Lufcy.